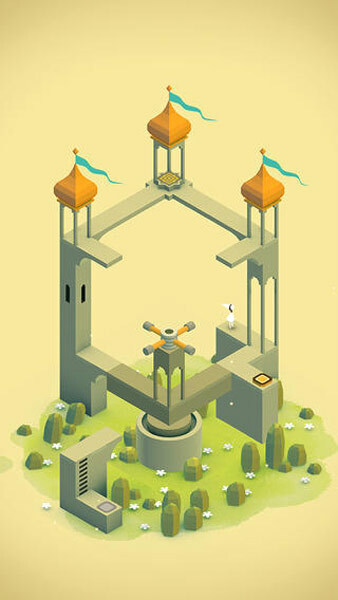 The games visual representations are chock full of eye benders that are cool even in their collective incredulity. It is a battle of angling and animations, and the artwork lays down the perfect foundation for the overall gameplay.Overall, it’s a simple concept and a satisfying game that is harder to put down once one gets into it. The flawless art enables Escher-esque illusions, requiring you to consider the space in a way I've never before seen in any puzzle game, much less an app. The sound design is also lush and detailed. It's wholly and completely worth the entrance price, an enchanting and elegant experience of a game. This is a charming, unique, and worthwhile title, but it’ll be even more so once more levels are released. 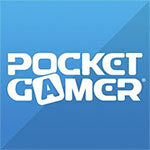 It’s a lovely little game that would benefit from being a bit more challenging for a little while longer. It's a short, revelatory slice of almost perfectly pure gaming that stands as an example of just what mobile gaming is capable of now. 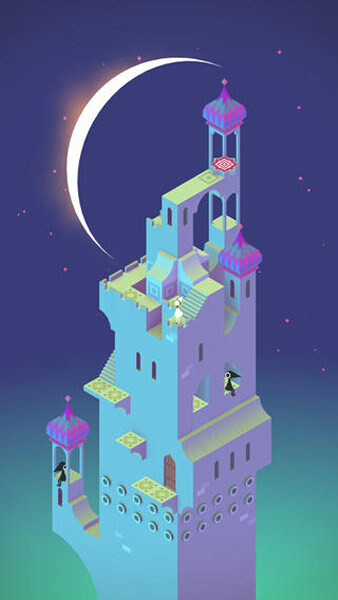 A brilliant, breathtaking, and brief adventure, Monument Valley is every bit as good as it looks. Das ist ein sehr stimmungsvolles, angenehm kreatives Puzzle-Abenteuer! Schade nur, dass es nach zehn Kapiteln und knapp drei Stunden schon vorbei ist. 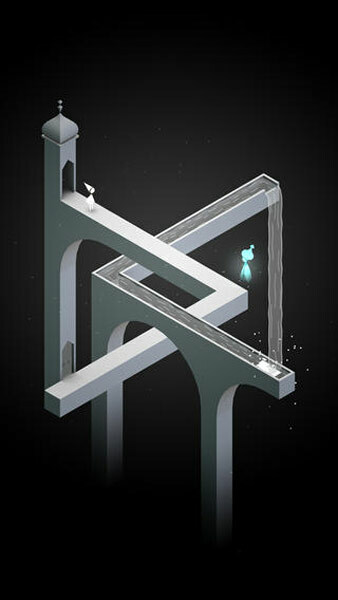 Denn Monument Valley verströmt mit seinem orientalisch anmutenden Artdesign und seinen drehbaren Labyrinthen etwas Zauberhaftes. Das Spiel mutet wie ein kleines Artefakt an, das man Level für Level mit der kleinen Ida erkundet. Dabei ist es nicht zu verkopft oder komplex, sondern eher intuitiv und sanft anspruchsvoll. 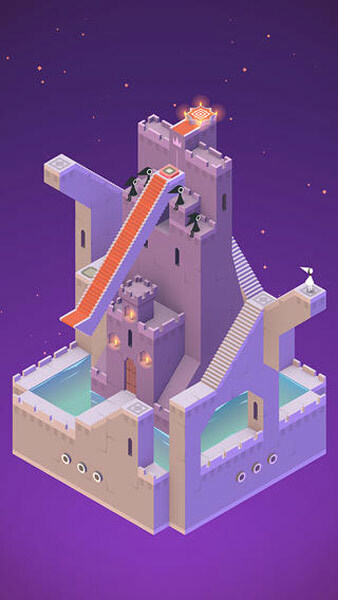 Untuk segi presentasi, kualitas grafis Monument Valley tidak perlu diragukan lagi. 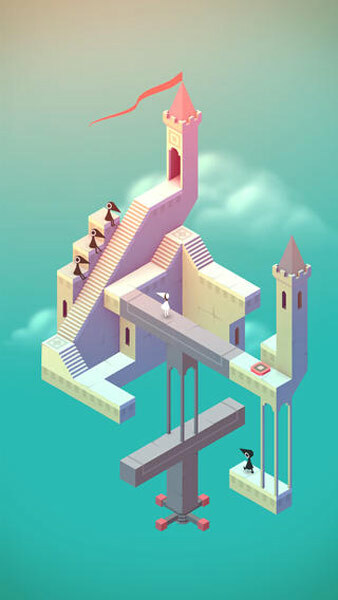 Pewarnaan grafis 2D yang halus, penggambaran air dengan gaya low poly dan tentu saja presentasi impossible object yang jenius membuat saya tidak bisa tidak memberikan nilai sempurna untuk grafis game ini. 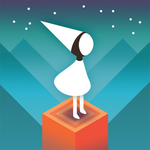 Monument Valley adalah game yang benar-benar berkualitas baik dari segi gameplay maupun presentasinya. Sehingga tidak salah jika ia dinobatkan menjadi salah satu kandidat terkuat GOTY 2014 (game of the year).